A home that smells good is a pleasure to be in! Good scents are indicators of good energy, and by good scents I mean natural, genuine scents that nurture the well-being of your home (and not the synthetic fragrances that offend it). Let's explore 12 ways to bring the magic of scents into your home; experiment and choose what works best! The absolute must for a good smelling home is the foundation of freshness and cleanliness. You can't really infuse your home with good scents if the house needs cleaning. Often the best scent is the scent of freshness - and this is something that you cannot really fake. So, first things first. Clear your clutter then use natural cleaners which you can easily make yourself - baking soda, vinegar, essential oil blends, etc. Avoid chemical cleaners and fragrances, this is really bad feng shui (for you, your health and your home). An ultrasonic aromatherapy diffuser is the absolute easiest way to make your home not only smell good, but spread healing, happy vibes. It is a powerful way to spread lasting natural aroma throughout your home, it doesn't require any effort from you and it's a joy to use! Naturally scented candles are another beautiful way to bless your home with healing scents. Best used in small or enclosed spaces such as the bathroom or the bedroom, be sure you use natural candles without artificial fragrances. Better yet, go for beeswax candles - their energy is so very healing, purifying and soothing. Natural high-quality incense is another way to quickly infuse your home with beautiful aromas. Again, be sure to buy high quality, natural incense, as well as try to stick with the same scent in the same space for a while - this is how the scent lingers longer. 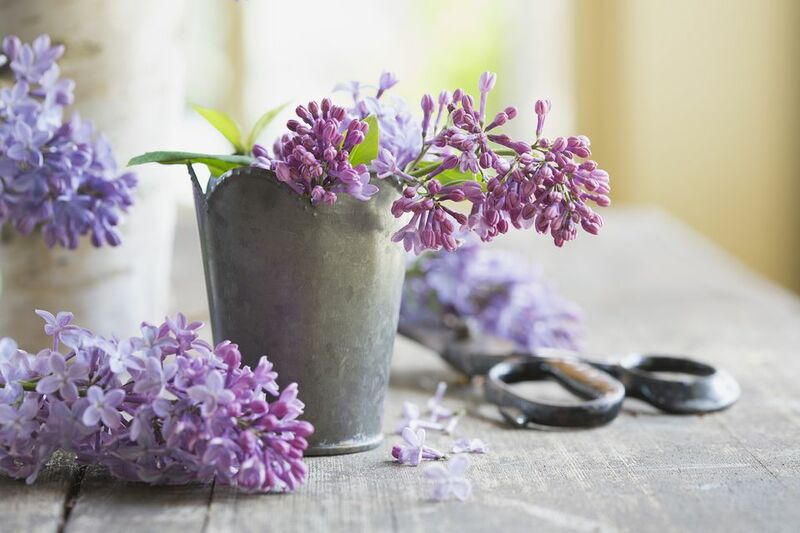 Flowering plants are an awesome way to bring beautiful scents into your space. Some of my favorite ones are jasmine, hyacinth, gardenia and the blossoms of the lemon tree. Having fresh herbs in the kitchen is also a heavenly way to benefit from powerfully healing scents. Who does not like to inhale the refreshing aroma of mint, oregano, or basil? You can place small votives in a small bowl with dried flowers or herbs (again, in a small space so that you actually sense the delicate aroma). It is quite a magical way to enjoy the subtle scents of herbs and flowers, be it dried lavender, rosemary or rose petals. Fresh flowers, of course, are always a beautiful way to bring vibrant energy and fresh scent to your space! Best to buy your flowers at the farmers market - this way you know that they are actually freshly cut and filled with potent energy! I have dried lavender sachets in many places - the bedroom, linen closet, various closet drawers and even mixed with my stored crystals. All you need to do is squeeze the sachet in your hand and inhale its aroma for an instant aromatherapy boost! If you are lucky to have a garden or buy flowers from a farmers market, you can always dry your own flowers and use them in so many ways - for tea, in cooking, in making infused oils or for the very next option - making your own potpourri! Make your own natural potpourri - it's easy, fun and quite rewarding! You probably know that commercial ones are often loaded with chemicals and toxins, so why not create your own?Display them in beautiful, creative containers and you've got a great, homemade feng shui cure for your home! Simmering cinnamon sticks is such an easy way to add a sweet and comforting aroma to your space. You can experiment by adding cloves, dried orange peels or even coffee beans - play and see what works best for your space. Yes, I saved the best for last. Coming home to the scents of fresh of cookies is almost as good as the scent of freshly brewed coffee in the morning! Heavenly, easy and so possible. Not in the mood to cook? Then just throw some herbs in a simmering pot, or drop a couple drops essential oils in a small pot of water and let it make you and your kitchen happy!